A website which provides a thorough information about all the religions of India, the history of every religion which is the first step towards understanding religion, the philosophy of religion, the sacred scriptures and many more. All this information is just a click away! India is one of the countries, which is secular in nature. Be it Islam, Christianity or any other religion, it has first of all adopted tolerance and then roots in this land. There is therefore something quite unique, something very different, something to be carefully studied and understood about all the Indian religions. Religions of India can only be understood after an understanding of its religious beliefs and practices which have a large impact on the personal lives of most Indians and influence public life on a daily basis. 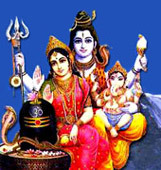 Indian religions have deep historical roots that are recollected by contemporary Indians. The philosophy of religion is one of the most fascinating areas of philosophy. It addresses not only the perennial question: Whether there is a God but also the questions If there is, then what is he like and most important of all, What does that mean for us. These are questions that everyone surely asks at some point of time in his life. Every religion have their own sacred scriptures. 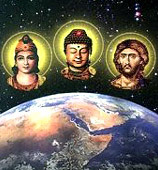 These scriptures are considered to be divine and of holy origin. The monoatheist religions such as Islam and Christianity etc consider their sacred texts to be the word of their own God. Spirituality is a state of mind and heart of a person who is entirely into religious beliefs and practices. Such people often build up some relationship with god and thus spread the message of god on earth. The Prophets and Messengers of God have been sent from time to time to manifest themselves in the world with a message of the supreme power. When the world becomes full of sins and the morality of mankind is endangered and there is a lot of violence then the lord manifests himself in different forms to rescue and save the world. Some articles have been presented to give a fair idea about religion and other social issues and emotions of the society. 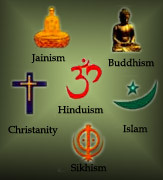 Religion is a vast topic when talked about in the Indian context.